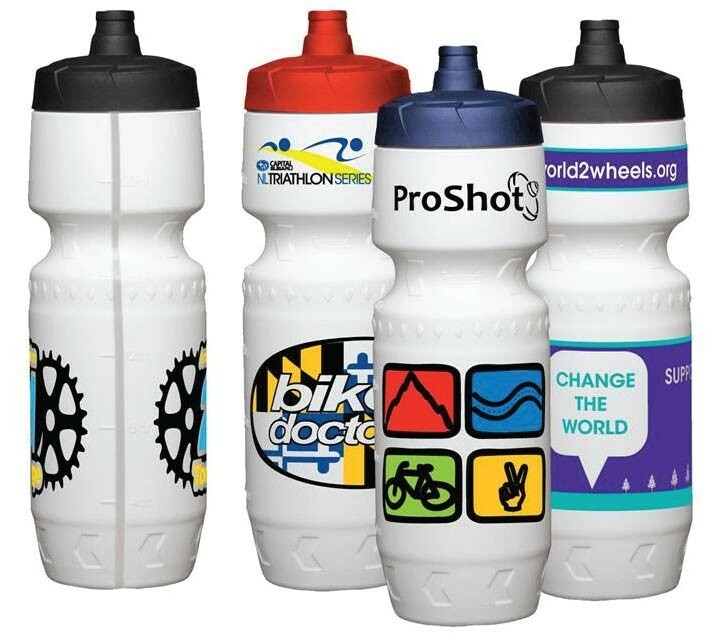 24 oz Premium LDPE Bike Bottle with View Stripe and Ounce Markings. Superior to traditional push-pull sports bottle caps, the Proshot is easy to use and extremely sanitary. It requires no mouth or hand contact to open. Simply squeeze the water bottle to drink and release to close the spill-proof, leak-proof valve.